Free Beauty Samples with Every Purchase at LovelySkin! Additional samples and exclusive offers when you purchase again, plus our exclusive member benefits. 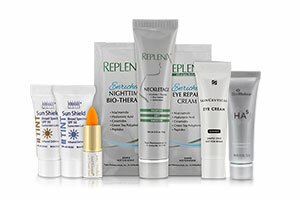 Choose your own free samples from a wide variety of the best beauty products available on the market. Choose the two samples you want during the checkout process. You’ll be able to pick from a provided list of all available samples. In rare cases, samples may run out between the time you choose your sample and when your order is fulfilled. If this happens, our team will select the closest available substitute to replace it. Samples are limited and change on an almost daily basis. Due to the short supply of free samples, please note we may not be able to reship samples if they arrive damaged, if you received the wrong one, or if one is missing from your package. If you have an issue with your samples, please contact our Customer Care Team for assistance.